What an agonizing choice! In midtown Manhattan, the great Ursula Oppens was having a 75th Birthday Celebration, and doubtless every composer in the world would be attending. Amongst other things, Ms. Oppens is the most fearless pianist in the world. Nothing fazes her. Not a single musical creator would wish anything but to write for her. Uptown at the 92nd Street Y, the young Uzbek pianist Behzod Abduraimov, one-third her age, was giving his own recital. I had never heard him before, but his fame is speeding up as quickly as his reputed fingers. Added to this, with the Arctic Vortex making me both listless and Lisztless, I was in the mood for some good 19th Century music. So to Mr. Abduraimov’s recital I went. To say the least, it was unconventional–but not in an apparent way. He is, like all artists from the Russian orbit (sorry, Uzbek nationalists) a technician of the old Romantic school, nowhere daunted, the few digital errors more than acceptable. On the other hand, where I was expecting another electrifying Daniil Trifonov, Mr. Abduraimov was not as breathless, not aiming for brilliance (the latter was inevitable anyhow), but for a more understanding, a more meditative concert. Hardly quiet or sedate, but where his colleagues astonish, Mr. Abduraimov impresses with a deeper meaning. The recital seemed to be planned for that. Opening with the Liszt-Wagner Liebestod, his theme was (of course) love and death. Ending with the rare Prokofiev Ten Pieces from ‘Romeo and Juliet’, his theme was again love and death. In the middle was Liszt’s B Minor Sonata. Listening to him play it, I couldn’t believe that in my early years, Liszt was seen as somewhat...well, vulgar, plebian. The Sonata was rare. The more common concertos and Les Préludes were hardly deep. When Mr. Abduraimov played those first foreboding notes of the Sonata, one was expecting a pictorial, demonic picture. Quite the opposite. Mr. Abduraimov seemed more drawn by the quiet passages. He caressed the keys, not exactly giving extra romantic pause, but offering extra weight to passages which some artists see only as interludes to their own prowess. Rather than the great octave leaps, those obsessive bass passages, the shattering fugue, Mr. Abduraimov made those thematic transformations organic. One was following not The Grand Artist, but the great composer extracting unspoken ideas which could only be expressed in music. Ideas which Richard Wagner could never make metaphysical, but all too physical. And that was what Mr. Abduraimov was doing with a work which never ever opens a recital. Yet once again, the pianist surprised us with a Liebestod transcription which excelled simple pianism. All right, he shimmered with the trills, he made transparent Liszt’s unerring transcription, he somehow imitated the orchestra while keeping all the piano colors in stead. Though what made this unforgettable was how the entire word was such an inevitable crescendo, how he managed–again–not to impress us so much as to draw us into the Lisztian web. Nobody can decry Wagner’s sensuousness, the apocalyptic copulation. 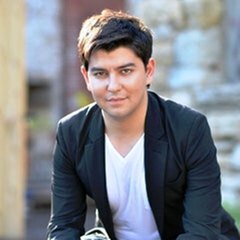 But Mr. Abduraimov turned pure physical voluptuousness into a poem for a Steinway and a great young artist. The final work was new to this listener, Prokofiev’s own transcription from Romeo and Juliet. One is accustomed to Stravinsky’s ballet dances for piano. This, though, was different, since Prokofiev’s own piano-playing was so terrific. Not all of them worked, of course. Nothing on the piano can imitate the light violin scales for Young Juliet. No piano can simulate the medieval horns of The Montagues and Capulets. And perhaps one might have been more satisfied not with another transcription, but perhaps a Prokofiev sonata at the end. One does not question Mr. Abduraimov’s choice. His visage throughout the performance was stolid, unsmiling, concentrating on the music. We hardly needed physical charm though. His recital both brilliant and thoughtful. That is a most rare alignment. CODA: A single encore–Liszt again, his transcription of the famous Paganini Caprice–was beautifully done. It also made a sad statement about audiences. The three works scheduled on the program, while dazzling, all ended on a pianissimo single note or chord. The audience reaction was respectful, and they rose with de rigueur appreciation. The Liszt/Paganini had nowhere the cerebral-emotional interest of the other works, but it was a showpiece, ending with fireworks. The audience roared as if the Messiah had suddenly appeared. Mr. Abdurainov, stolid and sober, thanked them and departed, as the applauders pleaded. Not for more depth but more pyrotechnics.